Viola chords may also come under the heading of double stops and begin with a minimum of two notes played together simultaneously. They encompass all the intervals from minor seconds to major tenths. In contemporary music it is possible to have even larger compound intervals. From viola chords to violin and cello chords, all have one thing in common; their use will make the instruments sound richer. Chords form the basis of brilliant fast string crossing passage work, a technique composers employ in virtuoso string writing. Keeping the fingers down on the strings, and moving them together simultaneously, will allow the bow total freedom to move across all four strings (when necessary) in a rapid motion. 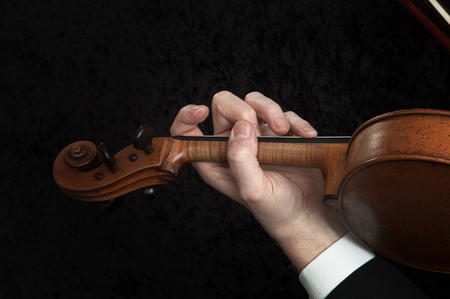 The viola can sound extremely brilliant with a minimum amount of effort while the fingers remain stationary. This can create a brilliant effect. Knowledge of viola chords across high and low registers of the fingerboard will enable difficult passage work to be executed with greater ease. 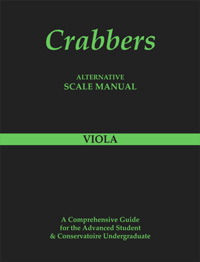 With complicated passage work and an understanding of chords, viola fingerings may more easily and efficiently be worked out. Example where correct viola finger positions are needed for ease of execution. Bartok Viola Concerto first movement bars 112-113 and 116-117. It is necessary to use forward & back extensions. Both passages can be practised by playing two notes together when slurring. Thinking more in chord formation will allow the performer more freedom with the bow stroke when changing strings. This will make the passage sound less complicated.